VSAT (Very Small Aperture Terminal) is basically a two-way satellite ground station with a less than 3 meters tall (most of them are about 0.75 m to 1.2 m tall) dish antenna stationed. The transmission rates of VSATs are usually from very low up to 4 Mbit/s. These VSATs’ primary job is to access the satellites in the geosynchronous orbit and relay data from terminals on earth to other terminals and hubs. They often transmit narrow-band data such as credit card transactions, polling, RFID (radio frequency identification) data, and SCADA (Supervisory Control and Data Acquisition) or broadband data such as satellite Internet, VoIP, and videos. However, VSAT technology is also used for various types of communications. Equatorial Communications first used the spread spectrum technology to commercialize the VSATs, which were C band (6 GHz) receive-only systems at the time. This commercialization led to over 30,000 sales of the 60 cm antenna systems in the early 1980s. Equatorial Communications sold about 10,000 more units from 1984 to 1985 by developing a C band (4 and 6 GHz) two way system with 1 m x 0.5 m dimensions. In 1985, Schlumberger Oilfield Research and Hughes Aerospace co-developed the world’s most used VSAT, the Ku band (12 to 14 GHz). It is primarily used to provide portable network connection for exploration units, particularly those doing oil field drilling. 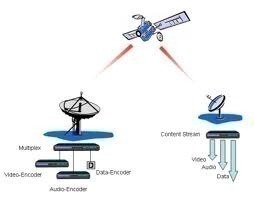 Two way satellite Internet providers also use VSAT technology. Companies like StarBand, WildBlue, and HughesNet in the United States and SatLynx, Bluestream, and Technologie Satelitarne in Europe, and many other broadband services around the world in rural areas where high speed Internet connections cannot be provided also use it. A statistic from December 2004 showed that over a million VSATs were in place. Star topology: This topology uses a central uplink site (eg. Network operations center (NOC)), which transports the data to and from each of the VSAT terminals via satellites. Mesh topology: In this configuration, each VSAT terminal relays data to another terminal through the satellite, acting as a hub, which also minimizes the need for an uplink site. Star + Mesh topology: This combination can be achieved (as some VSAT networks do) by having multiple centralized uplink sites connected together in a multi-star topology, which is in a bigger mesh topology. This topology does not cost too much to maintain the network, while lessening the amount of data that needs to be relayed through one or more central uplink sites in the network. VSAT technology has many advantages, which is the reason that it is used so widely today. One is availability. The service can basically be deployed anywhere around the world. Also, the VSAT is diverse in that it offers a completely independent wireless link from the local infrastructure, which is a good backup for potential disasters. Its ability to be deployed is also quite amazing as the VSAT services can be setup in a matter of minutes. 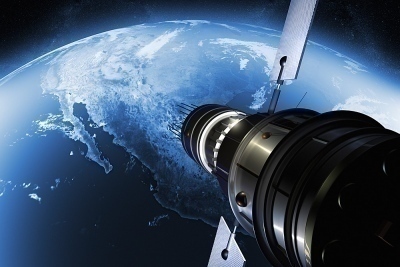 VSAT’s strength and speed and its homogenous connection anywhere within the boundaries is also a big plus. Not to forget, the connection is quite secure as there are private layer-2 networks over the air. The pricing is also affordable, as the networks themselves do not have to pay much because the broadcast download scheme (eg. DVB-S) allows them to serve the same content to thousands of locations at once without any additional costs. Last but not least, most of the VSAT systems today use onboard acceleration of protocols (eg. TCP, HTTP), which allow them to deliver high quality connections regardless of the latency. As with everything, VSAT also has its downsides. Firstly, because the VSAT technology utilizes the satellites in geosynchronous orbit, it takes a minimum latency of about 500 milliseconds every trip around. Therefore, it is not the ideal technology to use with protocols that require constant back and forth transmission, such as online games. Also, surprisingly, the environment can play a role in slowing down the VSATs. 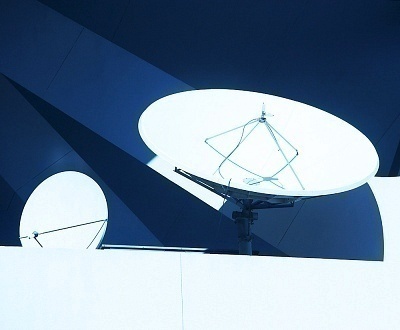 Although not as bad as one way TV systems like DirecTV and DISH Network, the VSAT can still have a dim signal, as it still relies on the antenna’s size, transmitter’s power, and frequency band. Last but not least, although not that big of a concern, installation can be a problem as VSAT services require an outdoor antenna that has a clear view of the sky. An awkward roof, such as those with skyscraper designs, can become problematic. Will my reception increase if I have two 1.2m dishes, each with feed horns and LNB’s. One of the dishes has a 4wat TX and the other 2watt. i would reduce the two RX and TX lines into a single rx and tx line then into the modem. 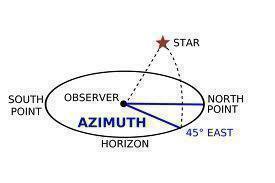 As VSAT is a satellite technology, distance between the two offices is immaterial. All data will go up to the satellite and come down from the satellite. VSAT does NOT provide end-to-end layer 2 service. They are almost all layer 3 networks. Privacy is achieved by using VLANs at the end points, and virtual routing and forwarding. 271 queries in 0.294 seconds.